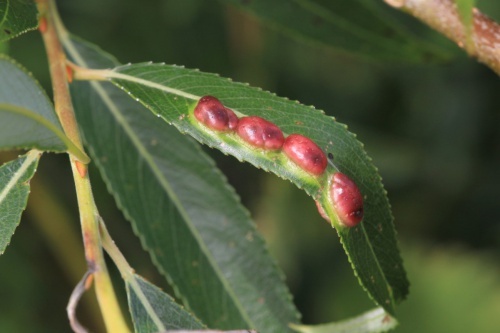 Adult Willow Redgall Sawflies are small - approximately 3.5-5 mm long. 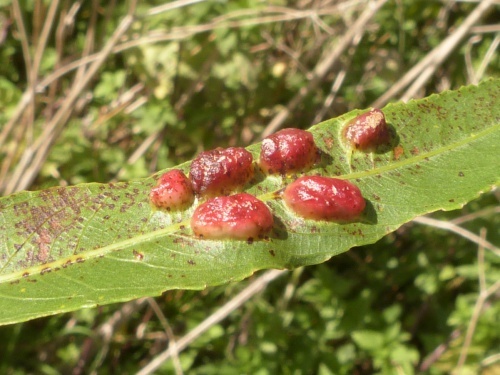 They are shiny, black and wasp-like. 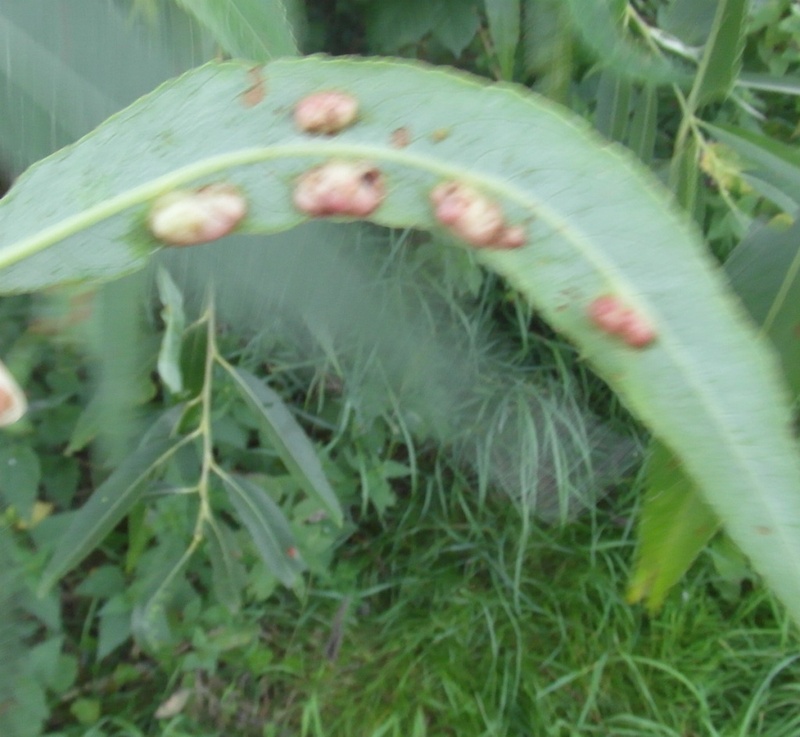 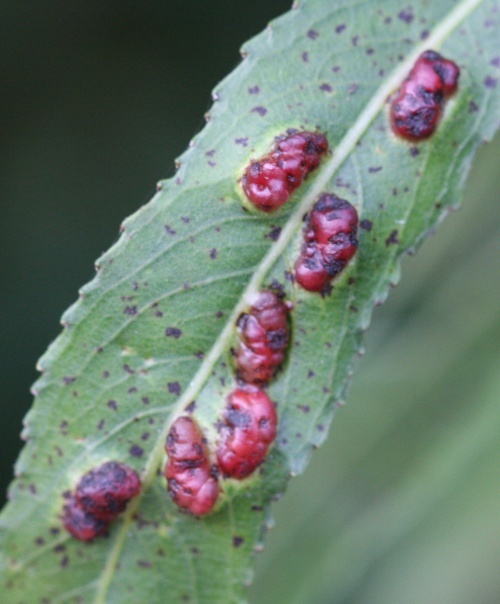 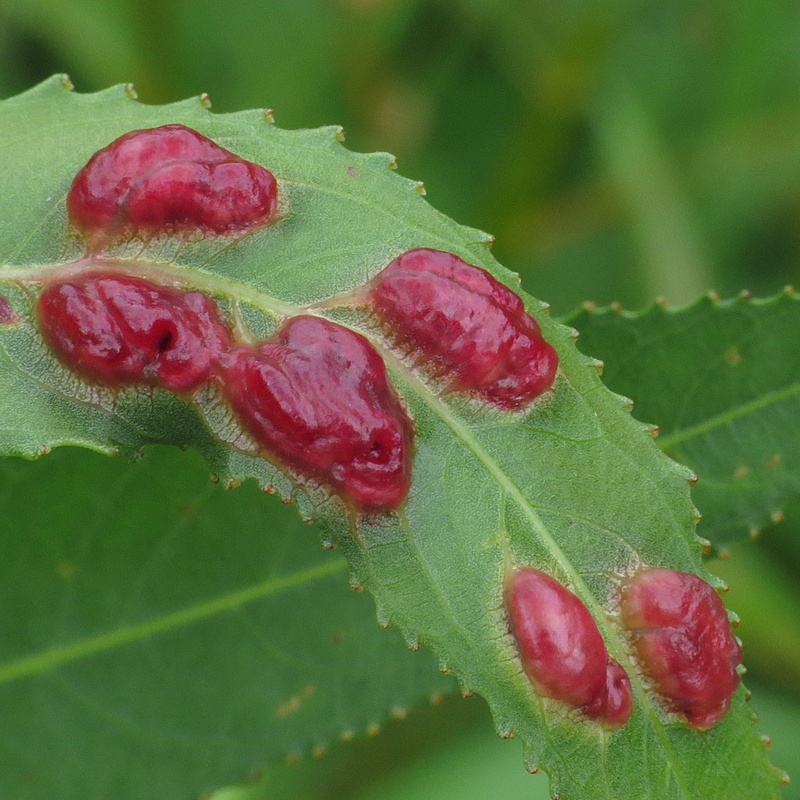 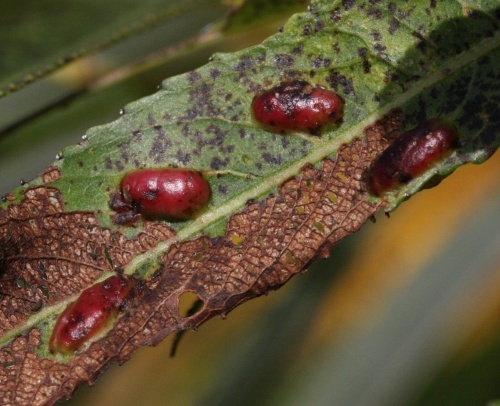 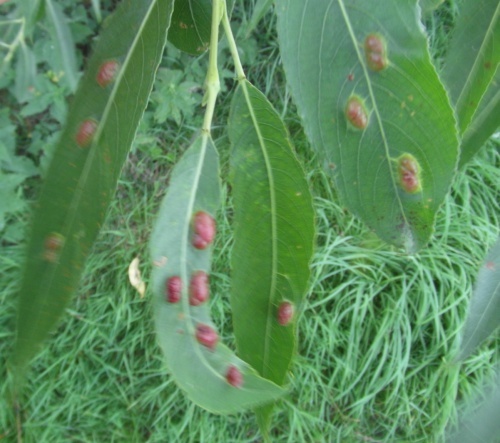 They cause a gall to form on certain species of willow and this gall is more likely to be seen than the adult sawfly. The gall is bean-shaped, starting off green but gradually turning red. 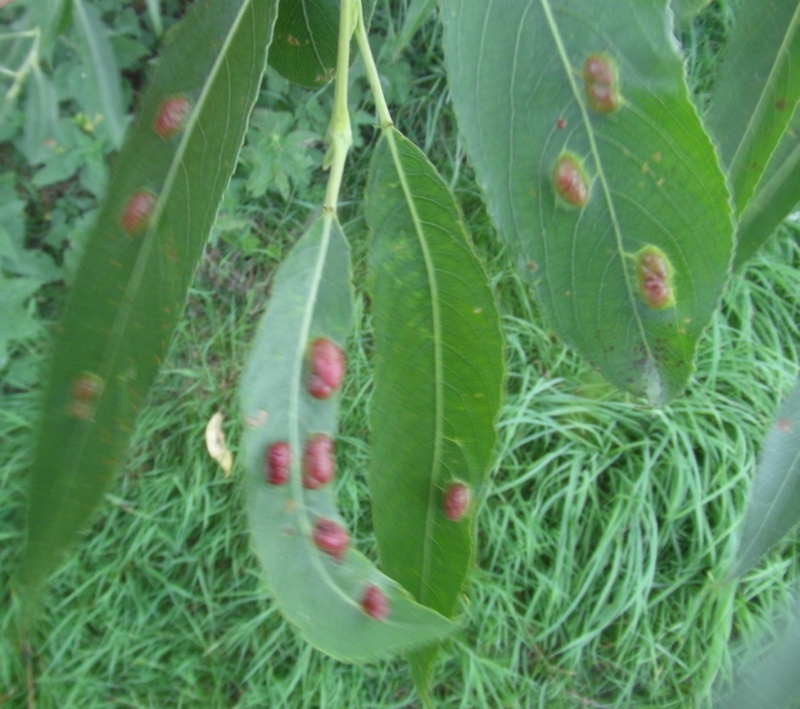 It is smooth with a thick wall and protrudes from both the upper and lower leaf surface. Galls of Pontaina proxima, P. bridgmanii and P. triandrae are all very similar - but are found on different host trees. If a gall, it is essential to say which tree species it was on. 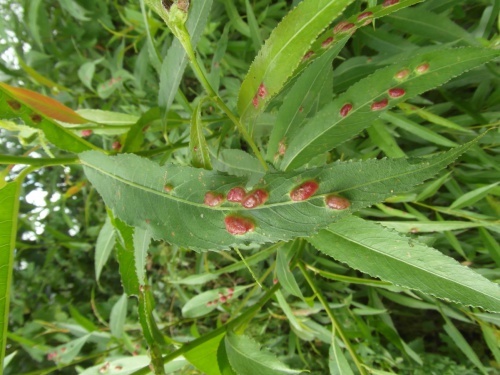 Wherever White Willow or Crack Willow grow, usually damp open wooded areas, sometimes hedgerows. 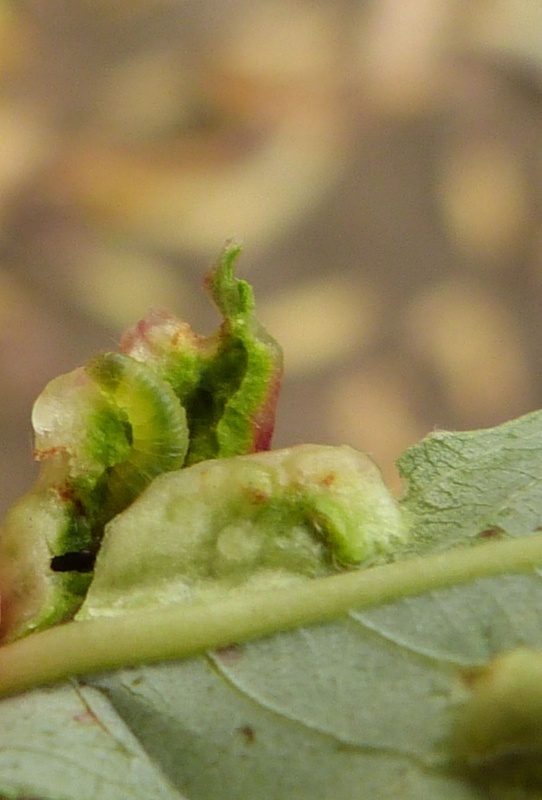 The larvae of the Willow Redgall Sawfly are pale green in colour with a dark head. They are small and caterpillar-like, reaching only 5 mm in length. 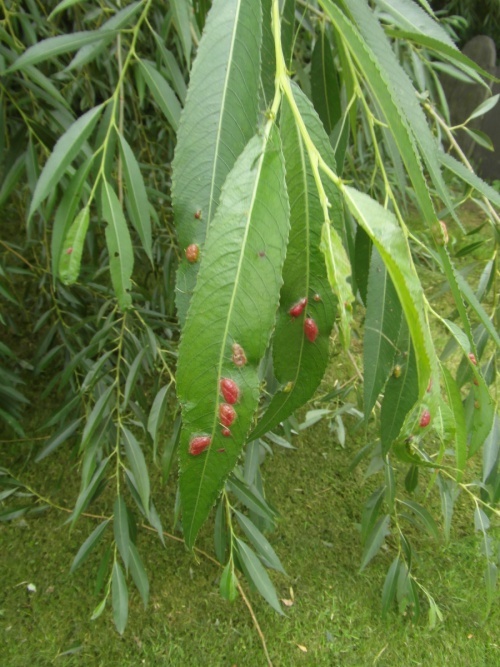 Adults emerge in late spring, and females seek out suitable willows on which to lay eggs. 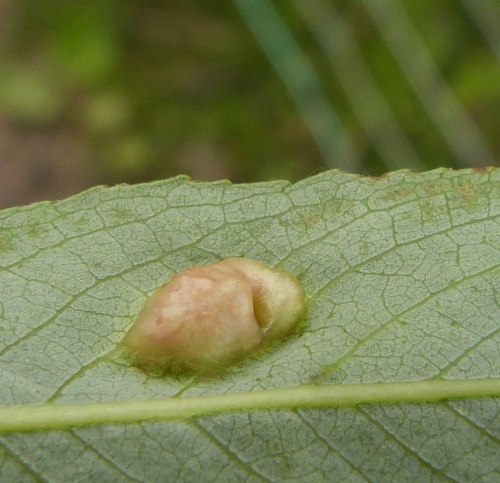 The female inserts an egg into leaf tissue where it hatches and begins to eat the soft leaf tissue. 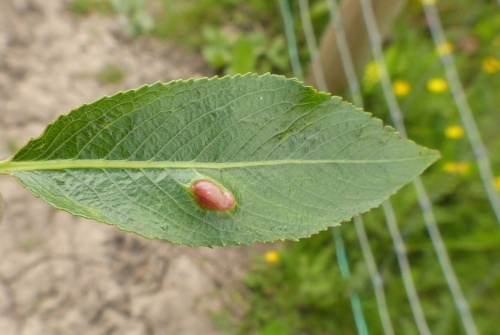 This stimulates the leaf to produce a gall which is bean-shaped, smooth and emerges equally on both sides of the leaf. 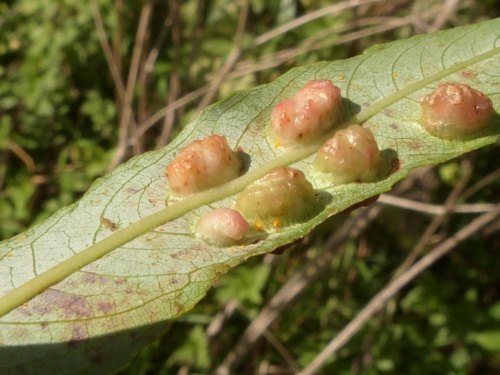 The gall may be green, red or yellow. 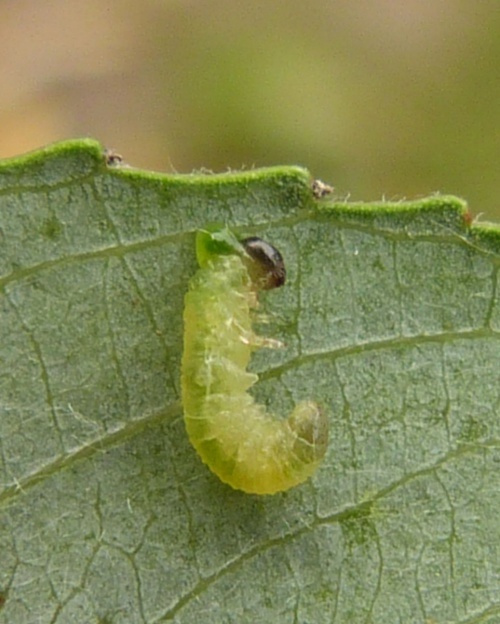 A single larva feeds in the cavity of each gall.